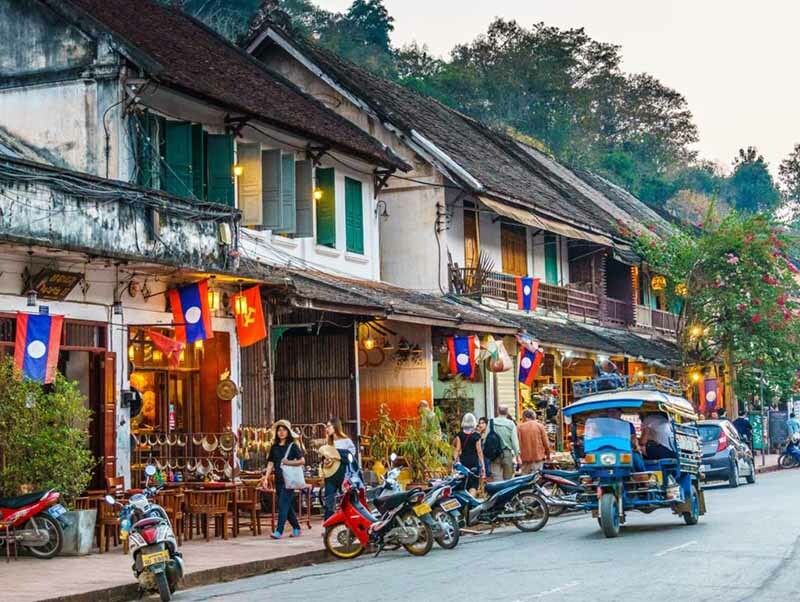 Full day tour Luang Prabang old city through Laos' scenic countryside on a leisure cruise upstream the Mekong River to discover the Pak Ou caves and surrounding villages. Stop at riverside hill-tribe villages known for woven textiles, mulberry paper and Lao Lao rice whiskey. Morning pick up at your hotel in Luang Prabang, you first visit Royal Palace Museum, which was built in 1904 during the French colonial era for King Sisavang Vong and his family. We then embark on a leisure cruise upstream on the Mekong River, offering a breathtaking view of the tranquil countryside, before reaching the mysterious Pak Ou Caves, two linked caves crammed with thousands of gold lacquered Buddha statues of various shapes and sizes left by pilgrims. Along the way back, stop at the village of Ban Xanghai, see local people make Lao-Lao rice whiskey, try a swig of this potent drink if you dare! Back in the city, you will visit the magnificent Wat Xiengthong a superb piece of Lao temple architecture, which presents a sweeping two-tiered roof and ornate mosaics including a beautiful ‘tree of life’ glass montage on the rear temple wall. Then continue to visit Wat Prabath to admire the sunset; this is the really peaceful place to catch the last beauty of the day. The tour ends after a visit to the famous Night Market, where you can find a lovely collection of handmade textiles made by local and hill-tribe people surrounding Luang Prabang.